By MichaelVinther, March 22, 2009 in Plugins - Publishing ONLY! This plugin can be used to add a texture effect to a photo. Place the file in the Paint.NET\Effects folder. Note that the plugin was tested with Paint.NET version 3.5.1. You can access the feature from the Effects | Artistic menu. It is quite easy to find usable textures via Google's image search. You can even copy-paste pictures directly from your browser to the plugin: Just right-click on the wanted texture and select Copy. Sometimes you may want to convert the texture to grayscale before using it. If the texture is not tilable (the left edge fits the right edge and the top fits the button) you should select set Fill method to Mirror. You can use a negative Amplitude to invert the 3D effect, i.e. make the texture go "in" or "out". Doesn't this do the same as this plugin? It doesn't seem to be quite the same. Texturize does not displace pixels, just change their brightness based on the gradient of the texture. This Alpha-Displacement Mask looks quite cool though - I didn't know that before. Looks handy, especially the watermark thing. Thanks a lot! This is a really cool plugin... I really like this a lot. This is a wonderful plugin ! I have been playing around with it for a couple of hours now with some textures I have and have even created some to use with this plugin. This works very well, but I wonder if there is a way that it could remember the last folder it loaded a texture from? I have placed all of my textures in one folder so they are easy to get to, but I have a whole bunch of subfolders in my paint.net folder. Other than that, this is just great ! Thanks so much. This is a sample of what I used it for. 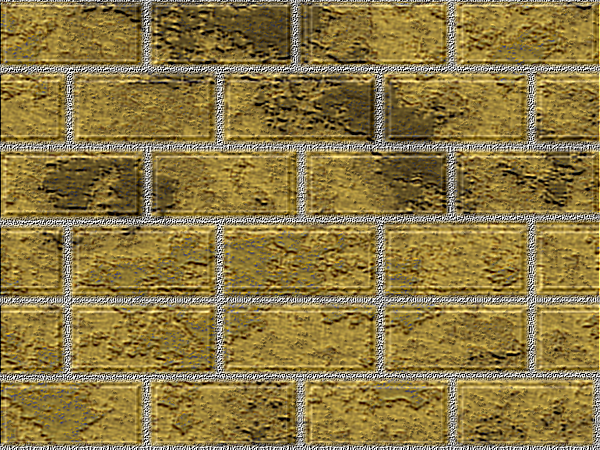 This is a limestone effect that I came up with a while back and I used your plugin to add a brick texture to make it look like limestone blocks. I then drew in the mortar on a gray layer, duplicated it, fragmented the dup layer, blurred the orig layer, merged them and added a grainy texture to them so the mortar would look more realistic. but I wonder if there is a way that it could remember the last folder it loaded a texture from? I will consider making it store the last used texture folder. Found a couple of sites with tons of textures. One site has textures for CGI work but they work great with your plug-in. Hi ! I was just wondering if you have had any success in adding the ability for the plugin to remember the last folder used? This is a great plugin and has added a whole new dimension to what I do. I am using this plugin so much and have been creating so many new textures to use with it. Thanks again for a really useful plugin. Message d'erreur: PaintDotNet.WorkerThreadException: Worker thread threw an exception ---> System.OutOfMemoryException: Une exception de type 'System.OutOfMemoryException' a été levée. When the final PDN 3.5 is released I will probably make a new release of my plugins but I don't expect to do it before that..
A new version has been released. The last used texture folder is now remembered. Thank you, I was waiting for this update! Nice job! Many thanks! Wonderful ! You da man ! Wow....Wonderful discussion with valuable information. This is very helpful to the newbies just like me to the dotnet programming. Thanks a lot for all for providing this information. I want you to know I absolutely LOVE, LOVE, LOVE this plugin, along with several others, but I use it so often. I haven't found anything in any other software that matches its quick and easy use. Thank you MichaelVinther, so much.